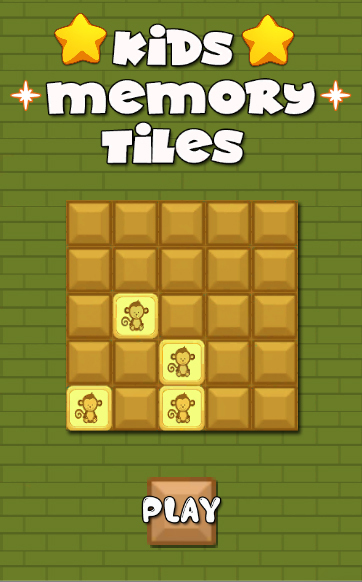 Kids Memory Tiles is an addictive memory training game made in Unity3D. This Unity3D game template has 100 levels with different themes. 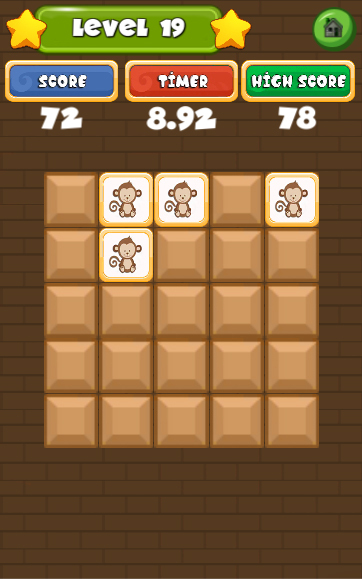 See all the monkey tile squares and then find the correct ones to train your brain. 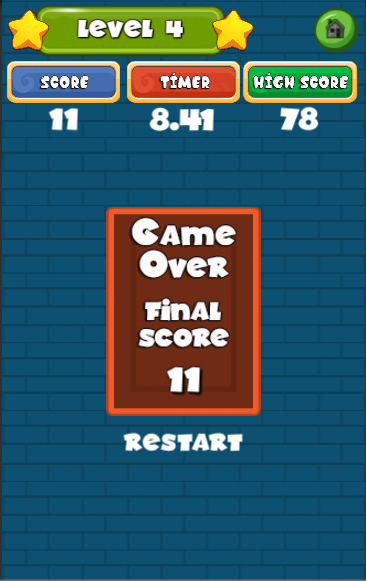 This game is addictive and challenging. Use your brain to remember all the hidden monkey squares behind the empty colored squares and find all of them one by one. 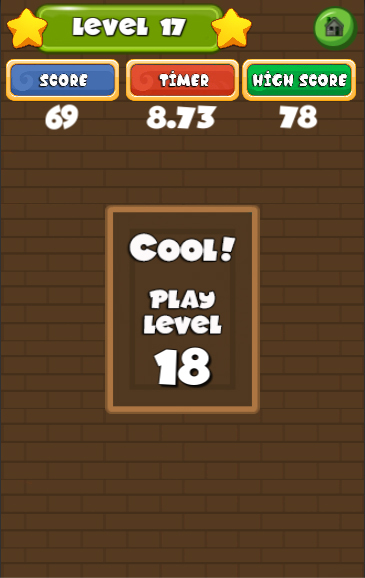 This memory training game will keep the player entertained for hours. 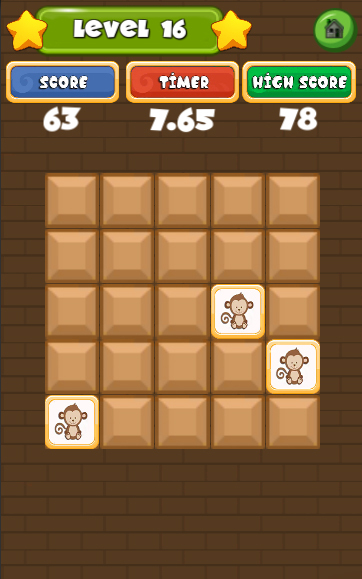 Kids Memory Tiles is puzzling and challenging game to pass your time. 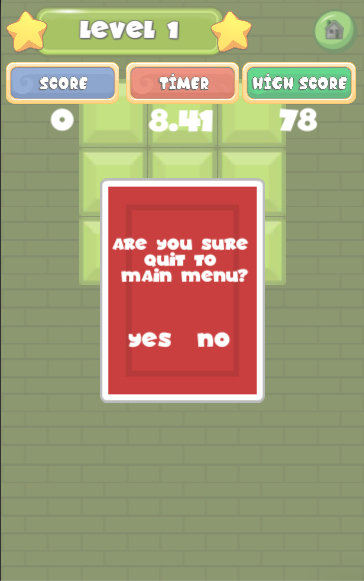 Exercise your brain with the most puzzling game. 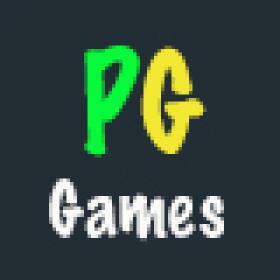 Sound Assets included along with SoundManager.cs source code. Well documented source code with comments and very easy to understand the source code. 2.) 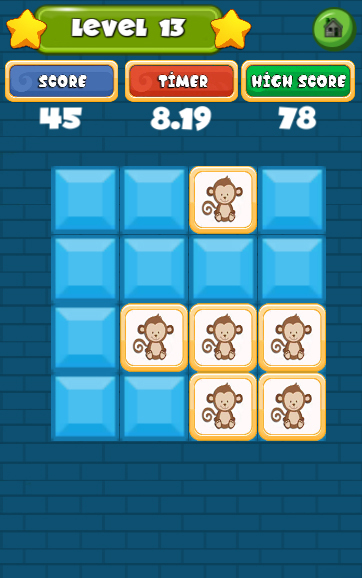 Import KidsMemoryTiles Unity5_3_4.unitypackage in Unity3D.